The connection between textiles and math is intimate but not often explored, possibly because textiles and fibre arts have traditionally been the domain of women while mathematics was viewed as a male endeavour. 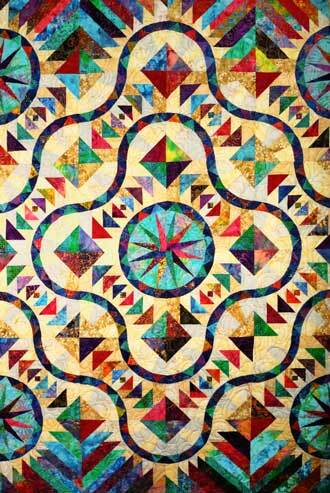 Today, textiles and mathematics, like art and science, are recognized for their interwoven, complimentary attributes. In an upcoming Cutting Edge Lecture in Science, Dr. Gerda de Vries, Dept. 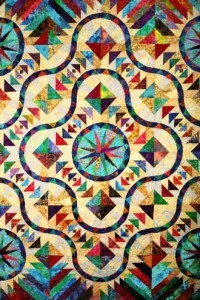 of Mathematical & Statistical Sciences at the University of Alberta, will examine the connection between textiles and mathematics, in the context of both traditional and contemporary quilt and show how mathematical concepts like symmetry, fractals, and algorithms show up in the world of quilting through serendipitous and intentional design. Cutting Edge Lectures in Science: Making Mathematics with Needle and Thread: Quilts as Mathematical Objects; Dec. 10, 6 p.m.; Redpath Museum, Auditorium, 859 Sherbrooke St. W. For more info, contact Ingrid Birker at 514-398-4094.